May I Please Have Your Recipe? Three generations (with five individuals actually sharing the same name) mingled, and conversations flowed easily during our Labor Day gathering. No one objected to the noise and interruptions from energetic youngsters. One child needed the dress up clothes; a pair needed a ball and bat. When one toddler impolitely pushed another, no one overreacted. Gentleness flowed with the correction. In this group, we simply relished the joy of shared time and space. For a few precious hours, busy took a backseat to genuine, authentic fellowship, the kind The Bible talks about. And as we talked, we consumed pimento cheese. While refilling glasses of ice tea… between scuffles… and waiting for the burgers on the grill, we savored the creamy culinary creation, and marveled that each bite tasted better than the one before. Labor Day is a distant memory, but Thanksgiving is here. 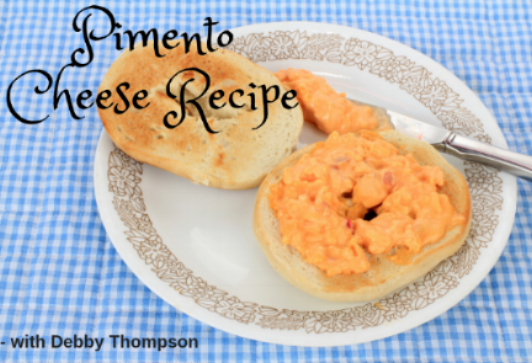 Since pimento cheese transitions well between holidays and households, I often get Beth’s request from others. So just in time for your Thanksgiving gathering, here it is! The ingredients are few, the procedure is important, and the options abound. Drain the peppers in a colander, but do not rinse. Using the knife blade, chop the peppers in the food processor and remove to drain again. Switch to the grater blade and grate the block of cheese. 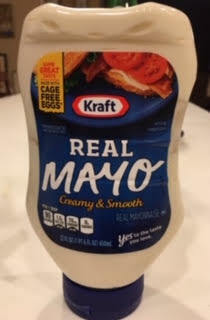 Remove the grater blade, replace the knife blade, and add 1/3 cup of mayonnaise, the cheese, and the peppers. Pulse cautiously to a texture blended somewhere between chunky and creamy, depending on your preference. Remove your pimento cheese, stir in fresh ground pepper, savor a sample with a cracker, and place in the refrigerator. Grate the cheese by hand. 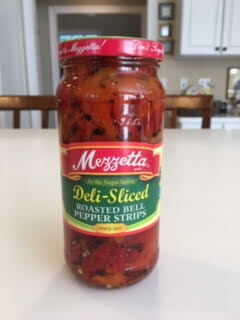 Cut the pepper strips into shorter lengths, the smaller the better. Place the two ingredients into a mixing bowl, and blend together with hand mixer. Add the mayonnaise and fresh ground pepper and blend to desired texture. Remove, savor a sample with a cracker, and place in the refrigerator. Note: when you are ready to serve, stir in additional mayonnaise if the mixture seems stiff. Avoid the tendency to add too much, as this will alter the flavors that have blended. Standing in the grocery aisle, you will be tempted to substitute these dependable ingredients. Don’t do it. Let me explain. For years I made this simple recipe when we lived in Hungary, the land known for its delicious roasted red peppers. 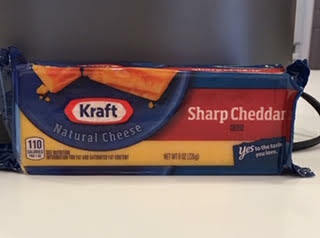 And I had to grate my cheese since the prepackaged grated variety was not available. Then, when I returned to the U.S. and started substituting with the grated package, the taste of my pimento cheese was radically changed. It took a tutorial from my eldest daughter to point out my mistake. She was right! Pimento cheese is not for everyone’s palate. But if you like it, you will like this recipe. Most of all, enjoy the blessing of those around you when you are serving this food. Allow Psalm 103 to guide you and yours to a deeper level of gratitude. Please let me know what you think, after you have tried the recipe. *And, as always when I share a recipe, I ask if you would please pray for me when you make it.